Welcome back to another episode of the Monday Money Tip Podcast! This week, we will discuss the stock market in our Current Money Events segment and you’ll hear the “Joe Sangl” approach when it comes to investing and the diversification of income. Lastly, we will share a success story from a listener who created financial margin in her life and even forgot it was payday! Hear a stock market update in our Current Money Events segment. 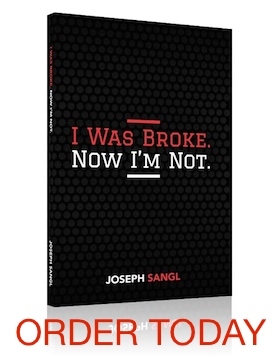 We will share the “Joe Sangl” approach of how to diversify income. Hear a success story from an individual who created financial margin in her life and forgot it was payday.